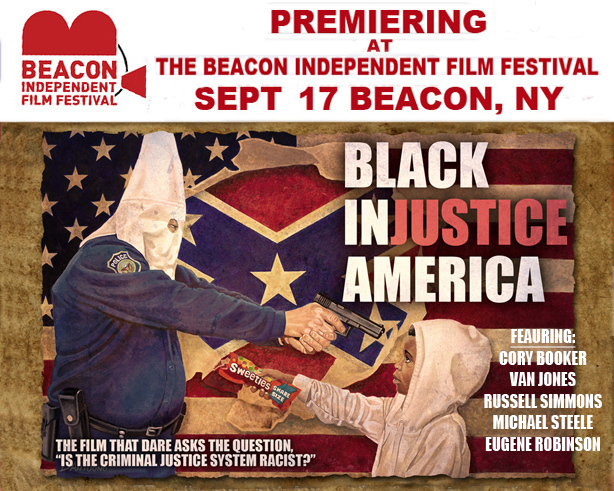 I will be premiering my film, “BLACK INJUSTICE AMERICA” at the 5th Annual Beacon Independent Film Festival on September 17th in Beacon, NY. See the trailer here. Starting on the 15th, they will screen features, shorts, documentaries and more. Panel discussions, food vendors, green space and activities for kids and adults will make it fun for the whole family. For more information visit http://beaconindiefilmfest.org/. 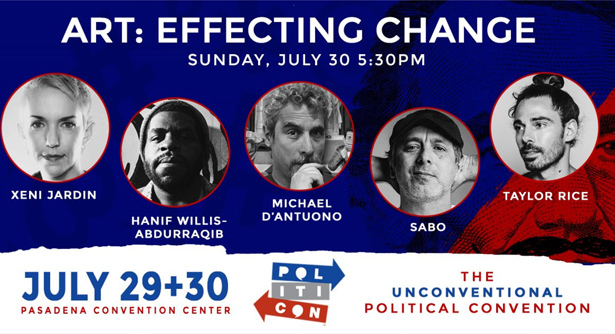 I was fortunate to have the opportunity to speak at Politicon this year on a panel about the power of art to effect change. 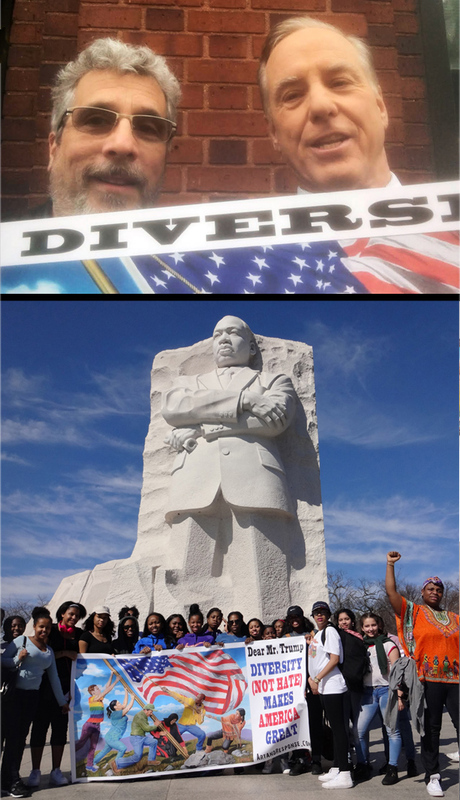 Everything was going fine until conservative artist, Sabo went on a racist diatribe cursing at the audience and walking off stage. While Politicon held panels boasting bigger names such as Jake Tapper, Joy Reid, Chelsea Chandler, Rob Reiner, Roger Stone, Ann Coulter and others, ours might have been one of the most exciting. You can see the blow up here. 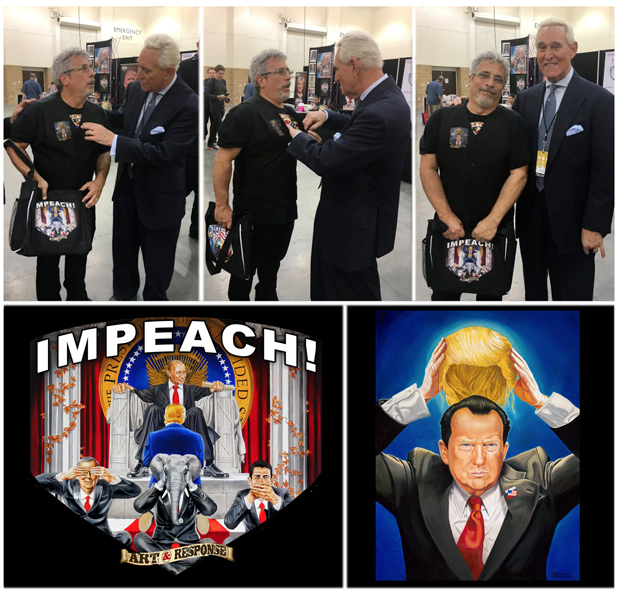 I also tricked Trump’s partner in crime and political trickster, Roger Stone, into taking a picture with me with my “Impeach Trump” art on my bag after thoroughly checking to see if I were wearing it on my shirt. 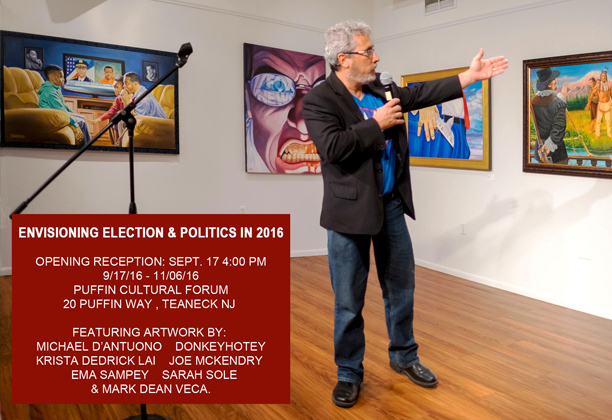 I was happy to be asked by Andrew Lee to participate in the Puffin Foundation’s exhibition, “Envisioning Election & Politics In 2016.” It is a wonderful organization that does great work informing the public about the important issues affecting their lives through creative projects. Rep. Barbara Lee, Pulitzer Prize winner Chris Hedges and Michael D’Antuono at “Truth To Power” event. In the shadow of the Democratic Convention, Rock The Vote’s issue oriented event, Truth To Power gathered A-list entertainers, politicians, activists and artists. 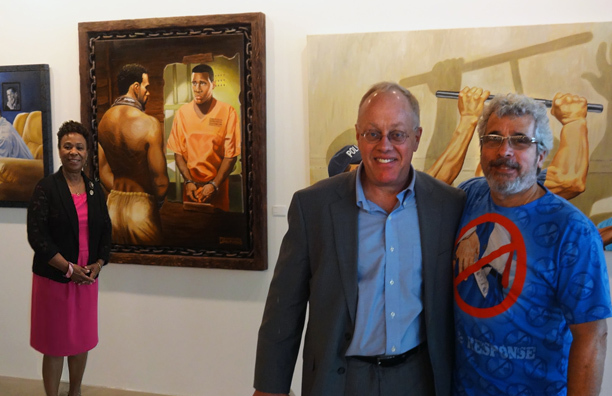 I exhibited with Banksy, Shepard Fairey and my friend Ron English, along with many other talented artists. Corey Booker, Van Jones, Susan Sarandon, Rosario Dawson, Danny Glover all spoke on panels. There were musical performances by Black Eyed Peas and Aloe Blac. Once again I had a great time at Politicon. 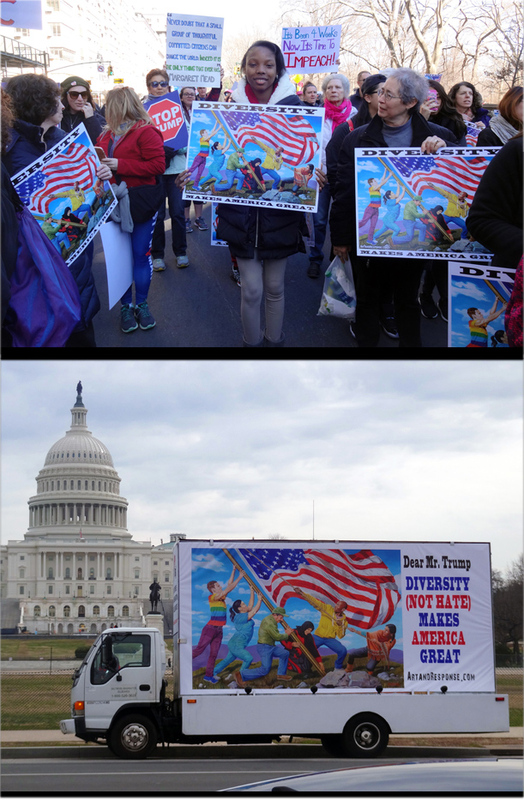 I exhibited several of my paintings and autographed about 300 posters of my official Politicon posters (above) for VIPs and talent alike. Politicians, entertainers, pundits and artists got together did what they do best like President Vincente Fox, Glenn Beck, Sarah Palin, James Carvel, Larry Wilmore, Van Jones, Cenk Ugur and many more.